Home » by author, illustrator » G - I » Roy F. Guste, Jr. Introducing the best of Louisiana cookery from restaurateur and French-trained chef Roy F. Guste, Jr. 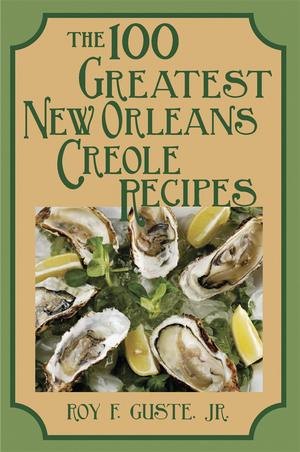 In The 100 Greatest New Orleans Creole Recipes, Guste presents a selection of choice recipes ranging from “Haute Creole” entrées like daube glacée to hearty red beans and rice. For generations, these dishes have graced the tables of famous dining establishments and family kitchen tables alike, proving that they have universal appeal and popularity. Chef Guste has simplified the steps of some his grander recipes, testing each one using only four saucepans, a skillet, and the bare minimum of utensils. The key to producing authentic Creole food, as he emphasizes, is the simplicity of the process and the freshness of ingredients. Follow these recipes and you can create the true flavor of Louisiana. 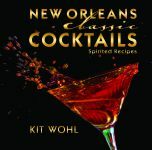 Accompanying these recipes are beautiful period illustrations, as well as reminiscences and anecdotes of the recipes’ origins that only a few other true Louisianians would know. 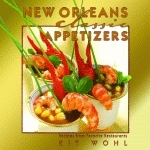 With gumbos, bisques, blackened dishes, appetizers, drinks, and desserts, this book makes Creole dining elegant and effortless. Roy F. Guste is a former proprietor and chef of Antoine’s, the famous New Orleans restaurant. He is a food advisor to many restaurants, a frequent lecturer at conventions, and an author of cookbooks and a garden guide. By Roy F. Guste, Jr.